B&H Photo isn't just a store for cameras and studio equipment — it also sells phones, tablets, TVs, computers, smartwatches, and more. We've posted countless deals from B&H over the years, but if you're going to buy products from them in the future, be warned that the retailer is now charging sales tax in 22 states. 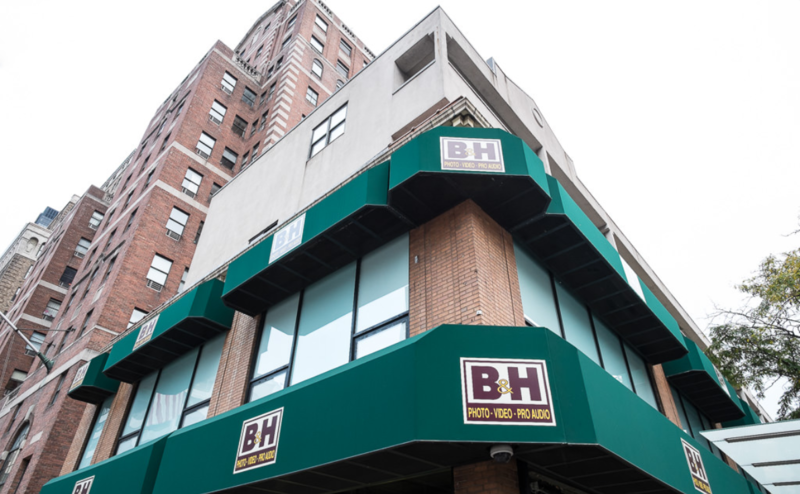 Until this year, B&H only charged sales tax in New York and New Jersey, since those were the only states where the retailer had a phyiscal presence. However, as a result of the South Dakota v. Wayfair, Inc. Supreme Court case, B&H is now required to charge sales tax in additional states. The affected states include Alaska, Colorado, Connecticut, Hawaii, Illinois, Indiana, Kentucky, Maryland, Maine, Michigan, Minnesota, Mississippi, North Carolina, North Dakota, New Jersey, New York, Oklahoma, South Carolina, South Dakota, Vermont, Washington (state), and Wisconsin. Sales tax began to apply in some of these states as early as October, but now customers in all the above-mentioned areas have to pay up.